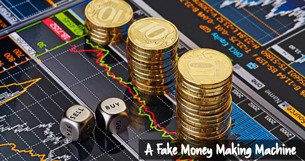 When it comes to binary options we have to say lots of them are very close to being a scam. However we have fully reviewed The Brit Method and we can say with utmost certainty that this binary trading option does not belong into the scam pile of trading methods. We highly recommend it. As a state legislator and House Democratic Leader I saw Charlie Crist up close for nearly a decade. Frankly, I wanted to find things to criticize. He was a Republican after all. But early on and throughout his term as Florida’s Attorney General and Governor, it became clear that he was a real moderate and a true bipartisan. Ultimately, it was his actions that made him hard to dislike. You would expect a Democratic Governor to be for automatic restoration of felon rights, or to veto an ultrasound bill that invaded a woman’s control over her own body. But Charlie took those positions as a Republican. Energy bills that addressed global warming were not exactly part of the Republican Party playbook – but Charlie pushed one through the legislature. The insurance industry and powerful utilities expect to get their way when Republicans control Tallahassee. Charlie fought rate increases harder than anyone in town. And the most astonishing of all – when Republicans passed a measure limiting early voting hours to suppress mostly Democratic voters, Charlie unilaterally extended poll hours to the absolute shock of his Republican colleagues. It’s easy for me to support Charlie Crist because, frankly, he has made it easy. In an era when voters are becoming increasingly disillusioned with government – he has been one of the few elected officials these days who approach government with a sensibility and genuine compassion that rises above partisan bickering. I know that the Republican Party of Florida has already started their $100 million campaign to try to vilify him. Calling him names. Questioning his motives. It won’t work. Floridians know what’s going on. They have watched as a narrow swath of ideologues have taken over the Republican Party nationally and here in Florida, intent on purifying its ranks of officials who commit the high crimes of moderation or bipartisanship. Tons of Republicans and independent voters understand why Charlie had no place in a Republican Party that has jumped the tracks because they feel like the Republican Party has abandoned them too. Floridians already know Charlie and like the fact that he represents the kind of bipartisanship that is so sorely lacking in this nation. They also know that Rick Scott is cut from the same cloth as these Washington D.C. demagogues. Like his Washington brethren, Scott supported defaulting on our nation’s debt rather than upsetting his Tea Party base. And Scott’s policies as governor are four square with these political outliers. It’s simple. Floridians have concluded that Charlie has their back and Scott doesn’t. I’m not convinced that even $100 million can convince people to disregard their honestly held beliefs.